For a thrilling online casino experience like no other, it has to be Genesis Casino. This immersive, space-themed online casino offers a huge collection of hundreds of games, including many of the hottest and most exciting titles ever released. If you’re keen to explore the depths of space and hopefully land some big wins along the way, sign up to this adventurous online casinos and claim your huge welcome offer to get your casino journey off to a flying start. Genesis Casino’s games come from a selection of the most popular and successful game providers in the online gambling industry today. These include the likes of Microgaming, NetEnt, Quickspin, Play’n Go, Evolution Gaming and Nyx Gaming, all of which are known for creating high-quality games that have gone on to become hits with players at lots of different online casinos. At Genesis Casino, you’re likely to find lots of popular games that you’ll have probably played at other online casinos before. One of the best things about Genesis Casino is its games collection, which features hundreds of high-quality games by a small selection of the most popular game providers. At the casino you’ll find more than enough slots, along with plenty of table games and live casino games, not to mention over a dozen other games, including bingo, keno, scratch cards and even virtual sports games. The casino has many popular games and adds new ones to its collection fairly regularly, so whenever a new game by one of the casino’s providers is released, chances are players will be able to find it at Genesis Casino and won’t have to look elsewhere. The games are organised into type-based categories and there are additional categories for the casino’s newest and most popular titles. The collection as a whole is very good compared to what a lot of other casinos have to offer since there are plenty of games in each category and the games come from a selection of top providers. It caters for pretty much every type of online casino player and has enough games to satisfy players of all tastes. At Genesis Casino you’ll find a huge collection of slots that includes hundreds and hundreds of titles by popular providers. Among the collection there are lots of well known games, along with some that aren’t that popular just yet but are still very much worth playing. Some of the casino’s most popular slots include Starburst, Hugo, Gonzo’s Quest and Immortal Romance, whilst some of its newest additions include Archangels Salvation, Adelia: The Fortune Wielder, Northern Sky and Dream Date. There are quite a few progressive jackpots available, such as King Cashalot, Treasure Nile and Mega Moolah Isis. The progressive jackpots are easily identifiable because they have the current total of their jackpot clearly displayed; there are over 25 of them altogether and they include some of the highest paying ones, such as Mega Fortune and Mega Moolah. Genesis Casino’s slots collection is large and diverse enough that it’s sure to appeal to a broad range of players. If you’re a fan of real-time, live casino games, you’ll be spoiled for choice at Genesis Casino, as there are some 70 options available. Most of these are either blackjack or roulette games, though there are a few others thrown into the mix, such as baccarat, Texas hold’em, casino hold’em, stud poker and three card poker. The casino’s collection of live games is very impressive since there are plenty of games to cater for fans of blackjack and roulette, along with several other games to give players more choice. The games are supplied by NetEnt and Evolution Gaming; the former develops all types of casino game, while the latter just focuses on live games. The table games collection at Genesis Casino is quite impressive. There are over 70 different games available and while most of them are either blackjack or roulette games, there are plenty of other games available to play as well, such as pontoon, punto banco, casino hold’em, oasis poker, Texas hold’em and baccarat. Some of the many blackjack and roulette games you can try out include Single Deck Blackjack, European Roulette, Atlantic City Blackjack Gold and French Roulette. For some of the games, there’s a low limit version aimed at budget players and a high limit version aimed at high rollers. At Genesis Casino, you can choose from nearly 10 different payment methods to make deposits. These include debit and credit cards, e-wallets and prepaid cards. All deposits are completely free and instant, so as soon as you make a deposit, the money should appear in your account ready to use immediately. Withdrawals are also free for every payment method, though the amount of time it takes for your money to reach you does vary depending on the payment method you’re using. For online bank transfers, it can take up to five working days; for debit and credit cards it can take up to three working days; and for all other payment methods, you should receive your money almost immediately. New players at Genesis Casino are in for a treat thanks to the casino’s very generous welcome package. There’s a total of £1,000 in bonus money to be claimed across your first four deposits. For your first deposit, you’ll receive a 100% match bonus of up to £100, then for your second a 50% deposit bonus of up to £300; for your third and fourth deposits, you’ll receive a 25% deposit bonus of up to £300. In addition to this, when you make your first deposit, you’ll be credited with 300 free spins to use on Starburst. For the second, third and fourth deposit bonuses, you have to enter a code that can be found on the Genesis Casino website. You have to wager the first four welcome bonuses a total of 40 times before you can make withdrawals. Deposits made using Neteller or Skrill aren’t eligible for this promotional offer. Genesis Casino has a VIP club that appears to be invite-only. Those who become VIPs can enjoy a range of exclusive bonuses, perks and benefits, including special casino bonuses, access to an account manager, a personal withdrawal service, invitations to exclusive VIP events, a monthly VIP prize draw and more. The casino certainly seems keen to treat its VIPs well and offer them plenty of rewards in return for their loyalty. Genesis Casino stands out from most other online casinos thanks to its excellent theming. It has an outer space exploration theme, with a series of high-quality images of parts of space used throughout, and an attractive purple and blue colour scheme. What makes the Genesis Casino experience even more immersive is the fact that all of the text you’ll find on the site is written in a way that refers to things to do with outer space. For example, with customer support you’re encouraged to ‘Contact ground control via email, phone or live chat’ and a general summary of the casino reads ‘In a million miles, along a highway in the sky, is where it all began’. As for the layout of the casino, it’s fairly straightforward with little in the way of clutter and a drop-down menu helping to keep things tidy and clean. The mobile casino offers a great selection of the desktop casino’s games and is a top casino to play at on your smartphone or tablet. It offers an easy to use user interface, fast loading times and seamless integration. Genesis Casino doesn’t yet have an app to download. It’s always great to see an online casino that doesn’t look much like an online casino at all. Genesis Casino has a very well done outer space theme and it’s clear to see that a lot of effort has gone into making a visit to the casino and immersive, memorable and enjoyable experience. The space theme is excellent, with numerous images of astronauts, planets and the like used throughout, not to mention plenty of references to things relating to outer space in the casino’s written content. Games are plentiful, with lots of variety and more than enough choice in each category. The casino’s games come from a small selection of top providers, so you’re guaranteed to find lots of high-quality games you’re already familiar with. The welcome offer is particularly generous, rewarding new players with both bonus money and free spins, though it’s unavailable to those using Neteller or Skrill. There are three options available for customer support (email, live chat and phone), though it isn’t stated whether customer support is available round-the-clock or not. 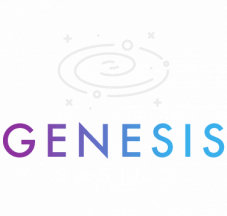 Overall, Genesis Casino is definitely one to watch. It’s very well presented, looks fantastic and has more than enough games to make it a worthwhile online casino.